There is a brand new ferry link between Ireland and western France making it easier than ever before to travel between our depot and The Emerald Isle. 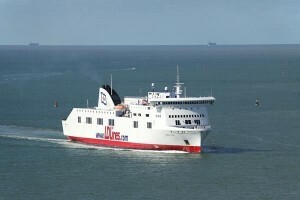 LD Lines has launched a new passenger and freight ferry service between Rosslare Europort in Ireland and the west coast port of St Nazaire in France. We think this new service offers a really convenient and cost effective way to travel between Ireland and central or western France without having to traverse the legendary Paris traffic. The France Motorhome Hire depot is about a four and a half hour drive from the French port of St Nazaire and the drive between here and the coast follows the stunning Loire Valley with its many grand chateaux, historical sights and great wines. Rosslaire is the gateway to the south west of Ireland, home to most of Ireland’s scenic highlights and around a two hour drive from Dublin.